A business dinner can either be a huge success or a major flop. If things go well, you could end up closing the deal or breaking ground on a new project. If things go poorly, it could spell disaster for your plans or negotiations. 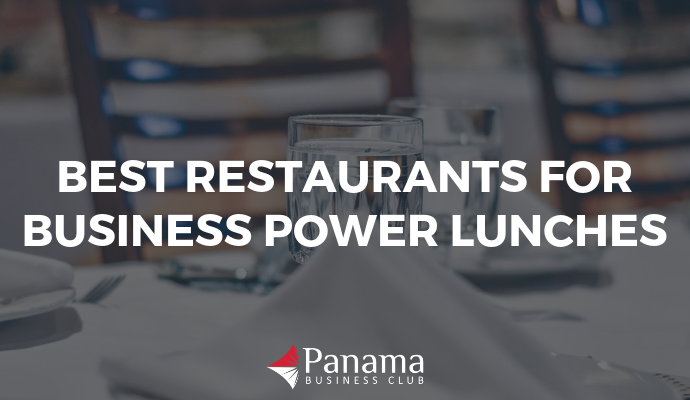 Panama City has hundreds of great restaurants, but not all of them are necessarily a good spot to host a business dinner. Some restaurants that are great for a night out with friends are simply too loud for professional conversation. Others are too cramped and crowded to provide enough space to talk business in privacy. 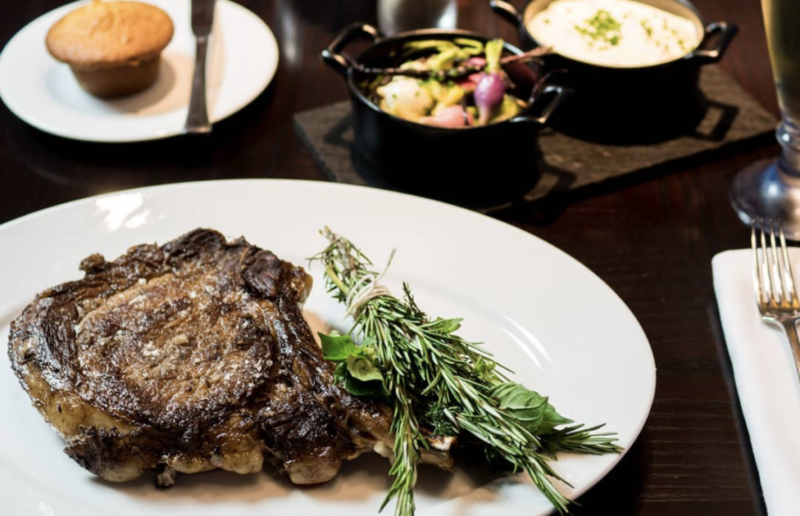 Luckily for us, there are dozens of places across the city that hit the sweet spot of great food, attentive service, and a desirable environment for a business dinner. 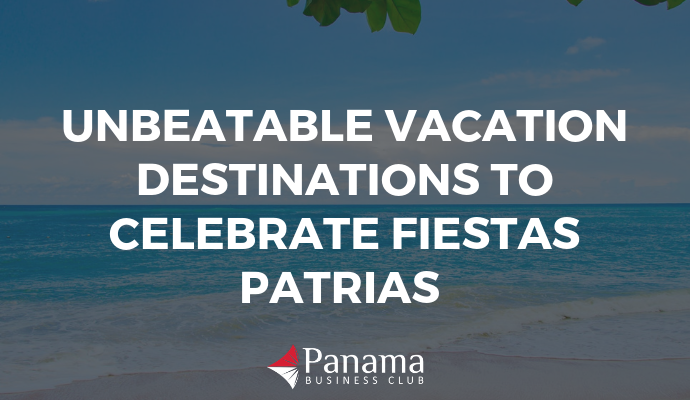 Keep reading for a comprehensive list of favorites suggested by Panama Business Club members. This is a fan favorite and for good reason. 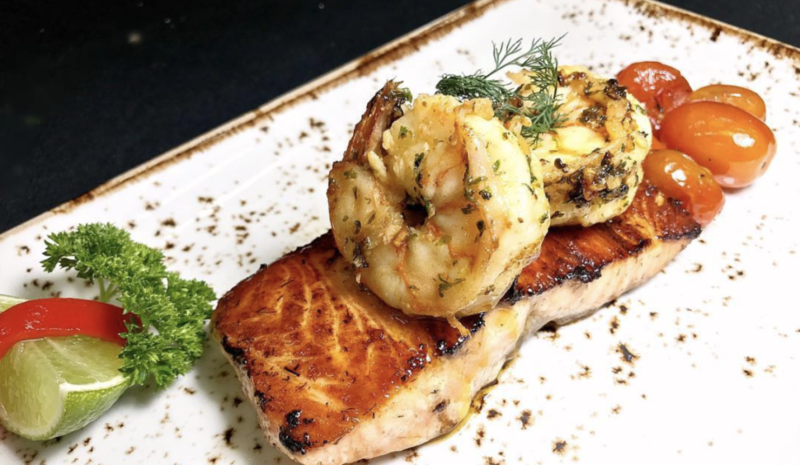 With great food, impeccable service, and an all-around spectacular ambiance, this is the perfect place to celebrate, negotiate, or merely to impress your company. Both of Acha’s locations are favorites with the business crowd. 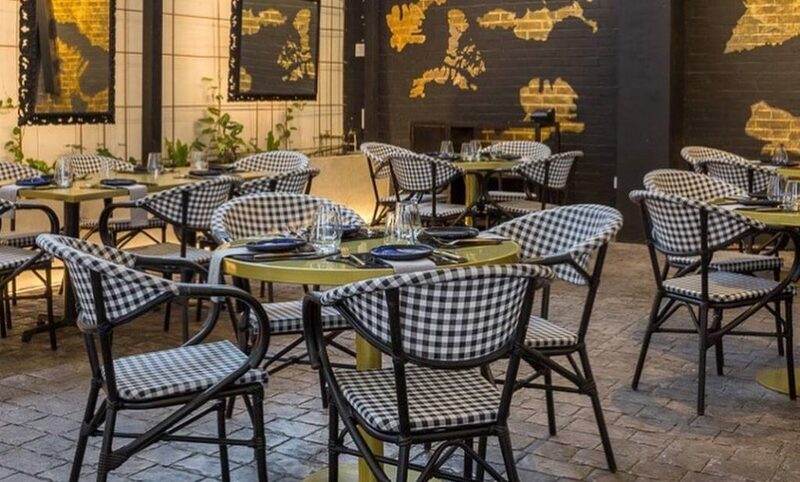 Whether you’re sitting in the opulent dining room or enjoying the evening on the outdoor terrace, there’s plenty to love about Acha. All of the seafood dishes are fantastic and the service is second to none. And if you need a more private setting, Acha’s Obarrio location has private rooms to accommodate both intimate and large gatherings. 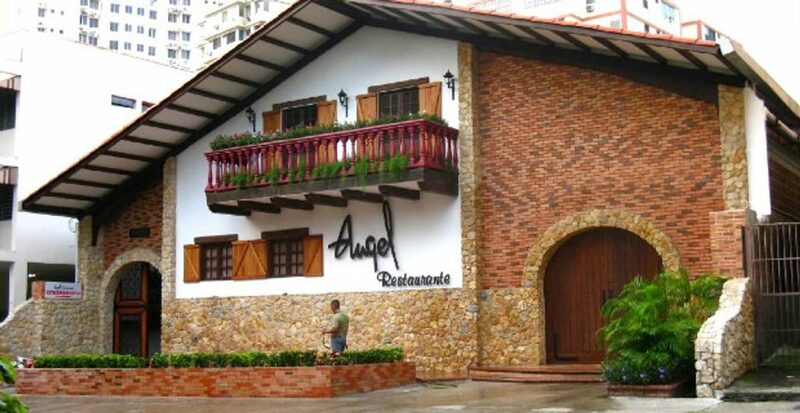 Angel checks of all the boxes for a perfect business dinner venue. A dining room that isn’t too loud and can easily accommodate big and small groups. 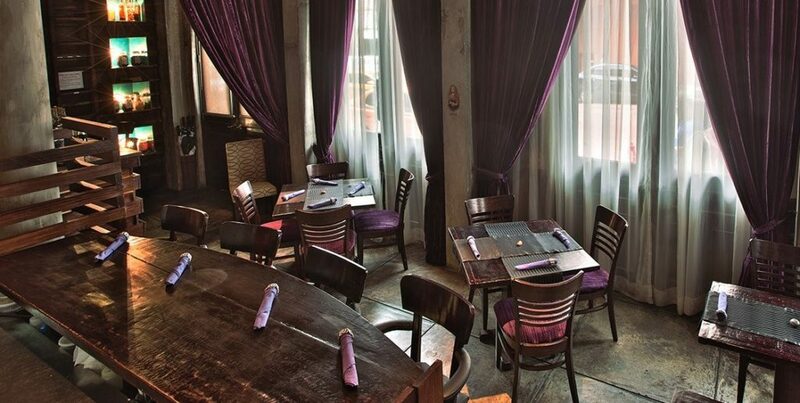 Private rooms for special events and valet parking. Oh, and did we mention the food is phenomenal? The bar at Angel, which is in a separate room from the restaurant, also offers a nice space for enjoying conversation over pre or post dinner drinks. Located within the Bristol Hotel, this is a great option for dinner or drinks and professional conversation. The decor is tasteful, the space has great acoustics, and the food and drinks will please any group. 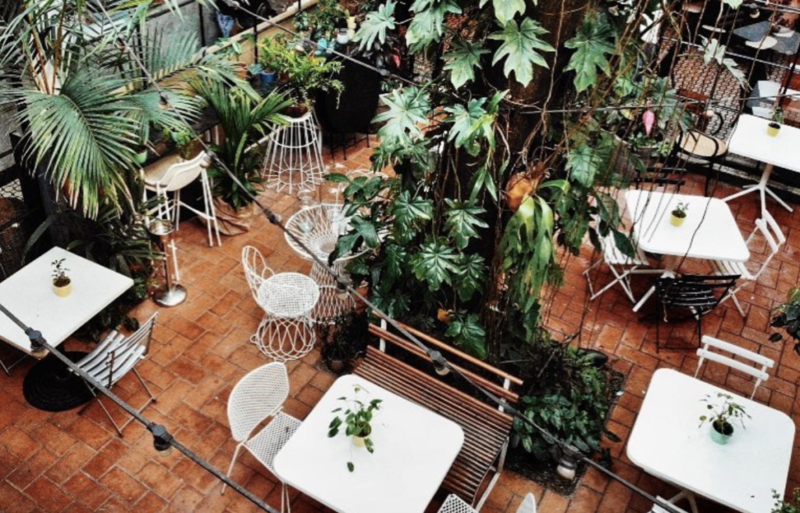 Caliope is a great spot if you want to pull out all the stops in Casco Viejo. You can sit at the bar and watch the chefs at work, or enjoy the comfortable yet sophisticated dining room. Either way, the food and service are second to none. 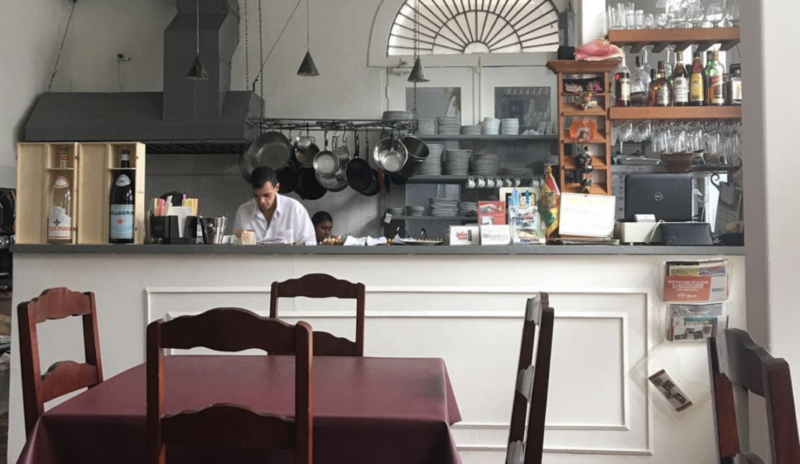 Another gem in Casco Viejo is Ocho y Medio. This lovely and romantic restaurant is perfect for an evening of conversation or celebration. The eclectic menu will please even the pickiest eaters and there are plenty of vegetarian options as well. Close to many hotels, this is an easy spot for out of towners. 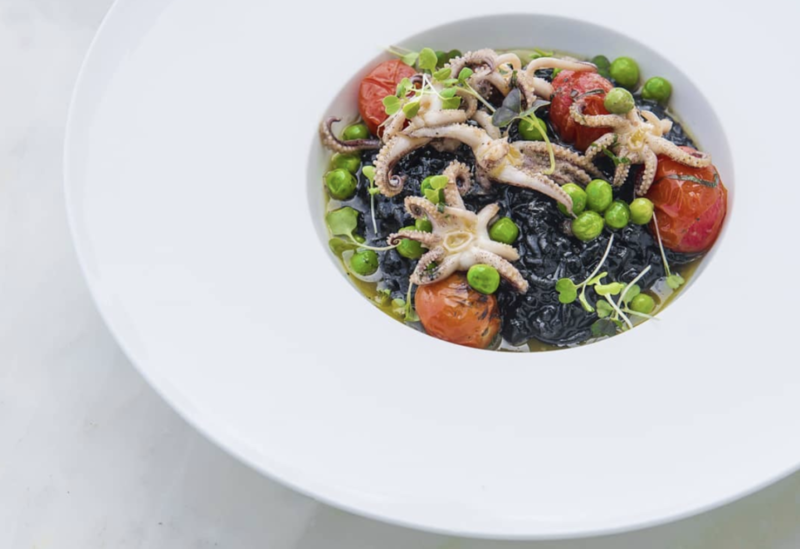 Tres Scalini serves up steaming plates of delicious Italian pasta. Paired with a bottle of wine, it’s the perfect business dinner. Depending on the time of day, the simple dining room can range from minimally seated early in the evening to rather crowded at peak dining time. Le Bistrot is an old-time favorite in Panama City. This restaurant has been serving up classic French dishes with a focus on seafood for decades. 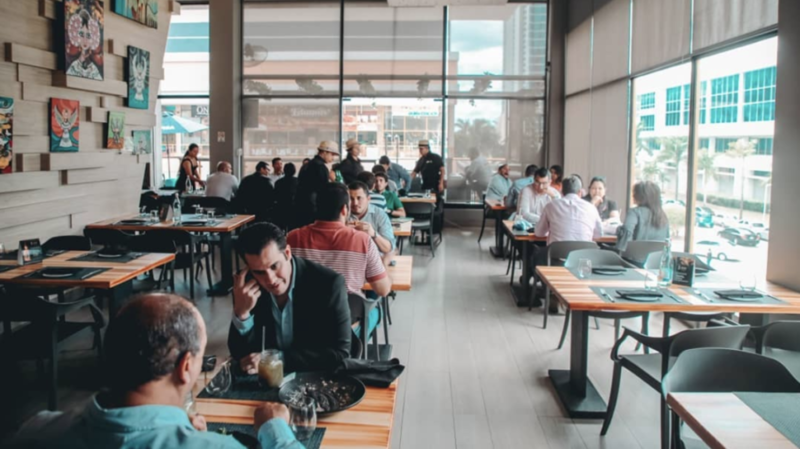 While the dining room might feel a bit old-school compared to other options on this list, tables are comfortable and well spaced, making it a great place to talk business. Another favorite for Spanish food is Cafe Balear. 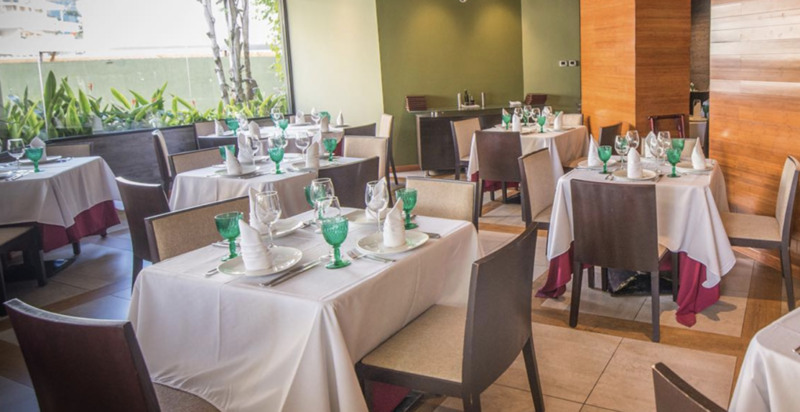 Located in Bella Vista, this lovely restaurant takes good service and ambiance seriously. The waitstaff is perfectly attentive without intruding and Chef Pedro is often known to come say hi to diners over the course of the evening. 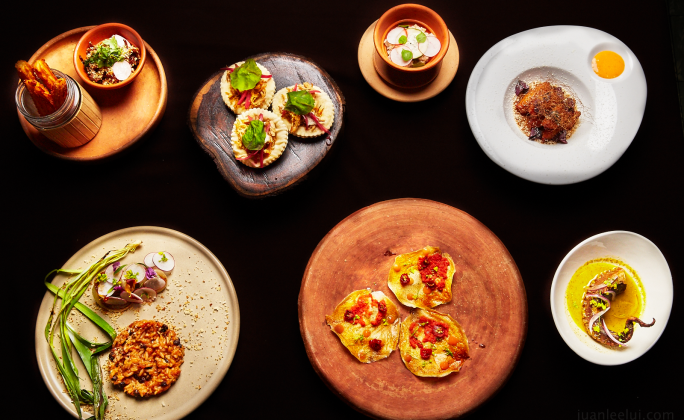 While you won’t find any cozy corners or booths for a business dinner here, El Madroño is still entirely worth it for the great tapas and traditional Spanish plates. The acoustics of the restaurant allow for pleasant conversation while you feast on tortilla, croquettas, and jamon serrano. Azafrán is a great spot for out of town clients. 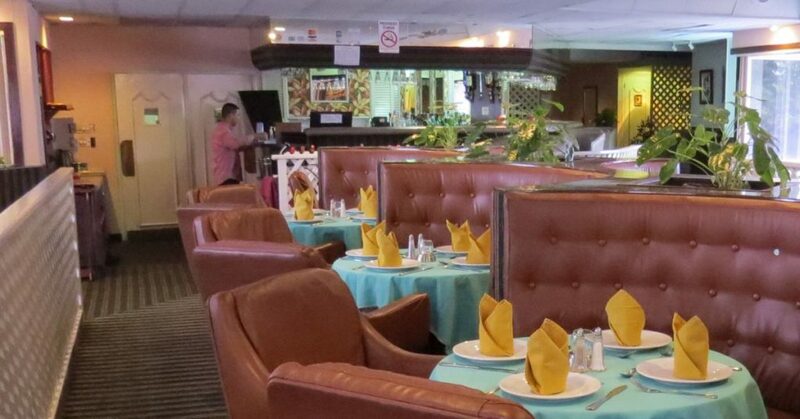 The restaurant has a nice ambiance for business and great food. The elegant dining room with high ceilings and well-spaced tables make conversation easy. The restaurant inside the American Trade Hotel is a great spot for a business dinner, especially if your clients are staying at the hotel. The dining room is all at once classic and contemporary and is a perfect spot for a serious conversation or a celebratory meal. 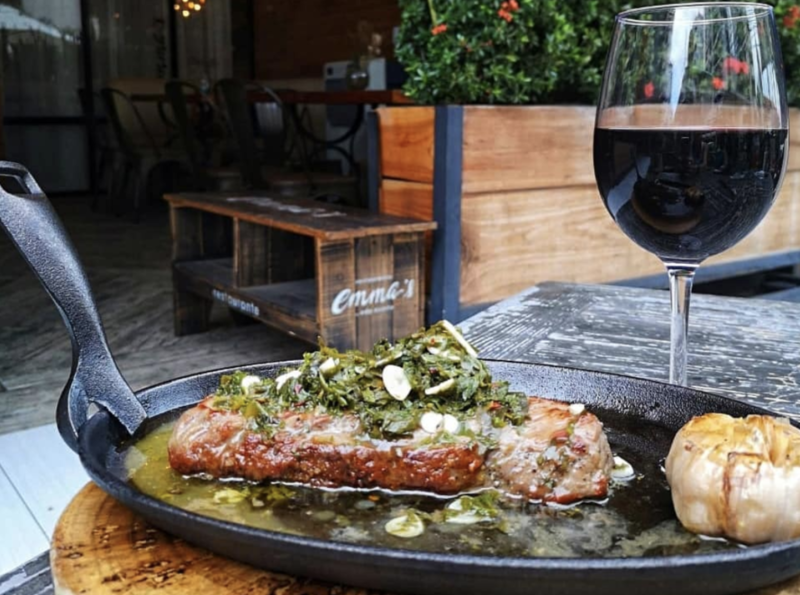 If steak is what you’re after, this Argentine-style steakhouse is the place to go. With plenty of delicious cuts and appetizers to share this cozy spot is a winner for good food and conversation. 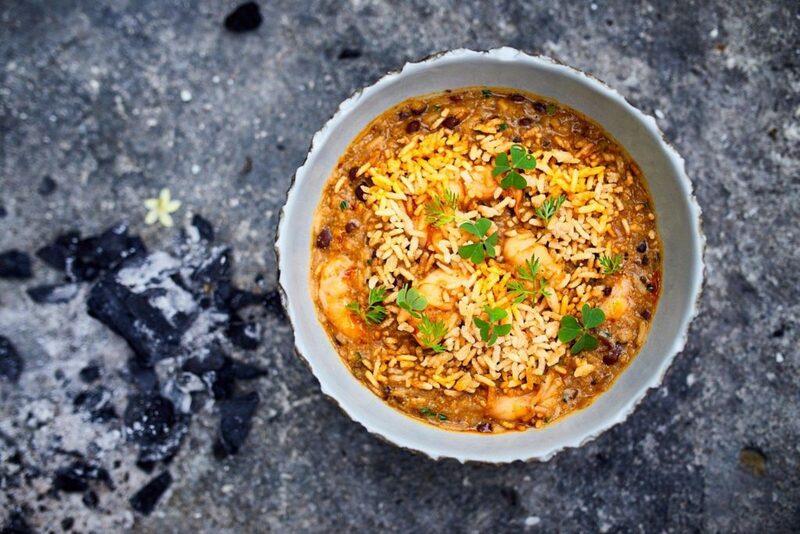 The simple but satisfying menu with international flair tends to be a crowd pleaser. From oysters to steaks to wood fire pizza, there’s enough to choose from without being overwhelmed. The beautifully fashionable decor and charming staff are the icing on the cake. The elegant and artistically decorated dining room at Azahar is lovely, but the real showstopper is the view of the city from the patio. Either way, you and your guests can prepare to enjoy delicious Asian fusion food while getting down to business. At night this restaurant can get a little loud, so it may not be the best option for intense conversation. Just downstairs from Azahar is the fantastic Cabana. With a light ocean breeze and peaceful ambiance, Cabana is the perfect destination for an elegant dinner out with clients or associates. 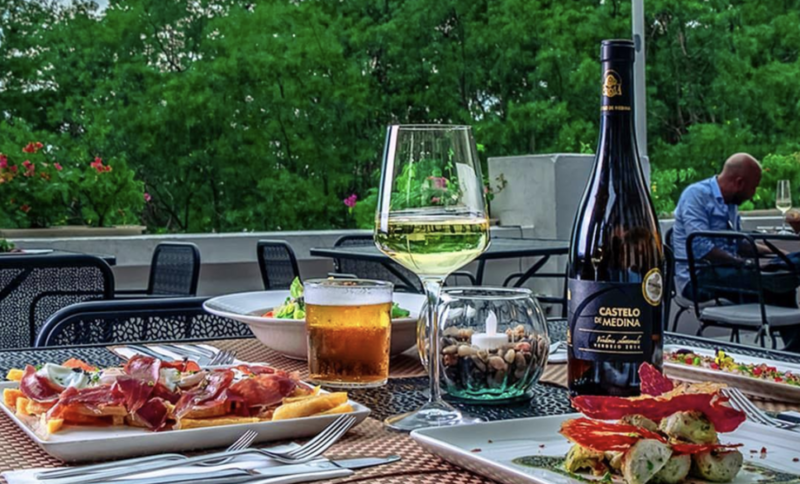 Start the evening with a drink on the patio overlooking the Pacific and finish in the stunning dining room enjoying a delicious pasta, salad, or seafood dish. Be warned, though, on weekend nights there are sometimes large and loud groups making it harder to hold a conversation. 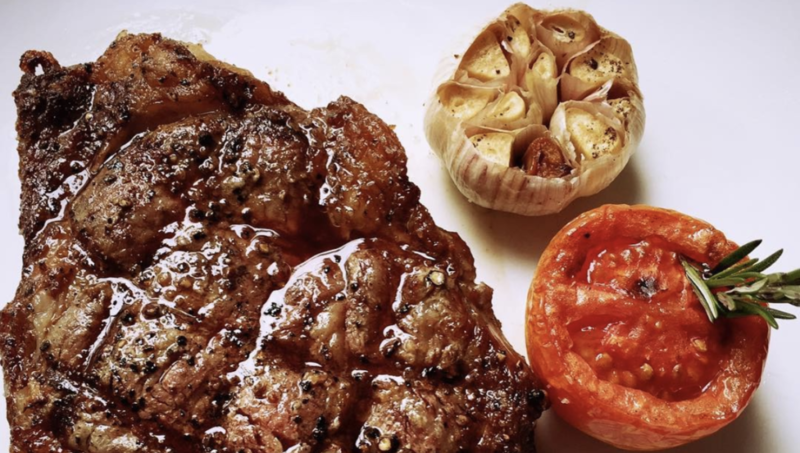 Impress your client or business partner with an exquisite dinner experience at Gaucho’s Steak House where they hold over 24 years of experience and serve the finest meats imported from the USA with Argentine Cuts. Know what you like? Then Gaucho’s is the place as you can select your exact cut, and watch it be prepared from the open kitchen. Bao Dai is a relatively new addition to the Panama restaurant scene. Step inside and you’ll feel like you’re in Asia. The elegant dining room is spacious and boasts plenty of corner tables for private conversation. There’s even a VIP room that you can reserve for a bigger group. 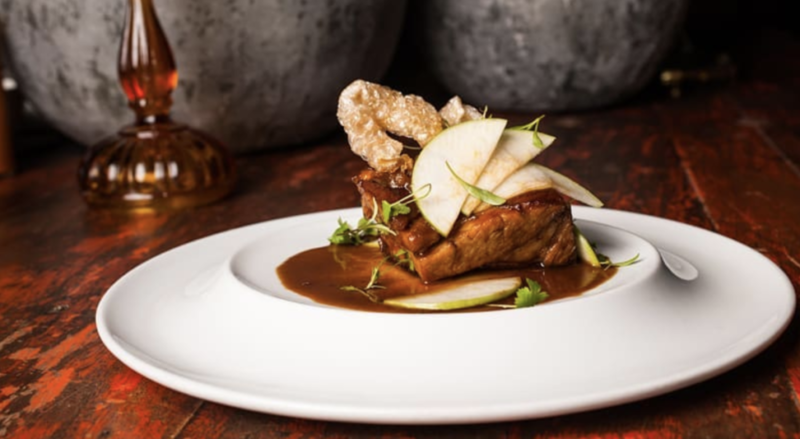 If you’re looking for an Asian restaurant great for a business dinner, look no further. When it comes to views, La Vespa Vista Mare is one of our favorites. 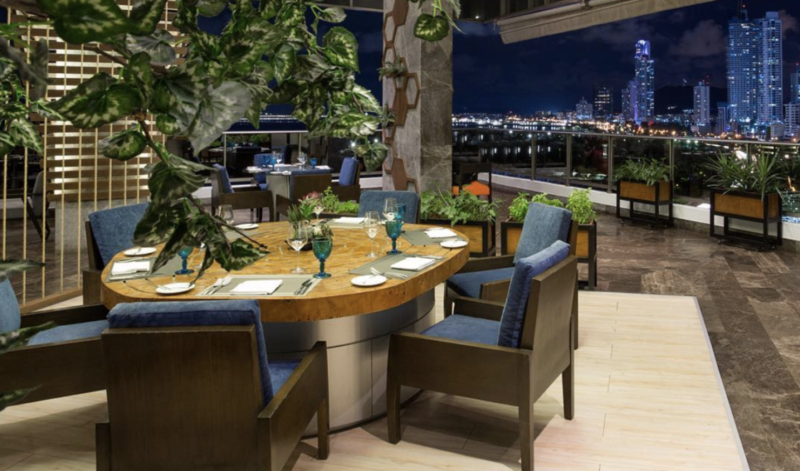 Ask for a table by the water’s edge to enjoy a nighttime view of the water and skyline. Even without the view, the modern yet timeless dining room is a sight worth seeing. The wait staff is courteous and knowledgeable and the diverse menu has something for everyone. Up for something a little more casual? Grab a seat at the cocktail bar! 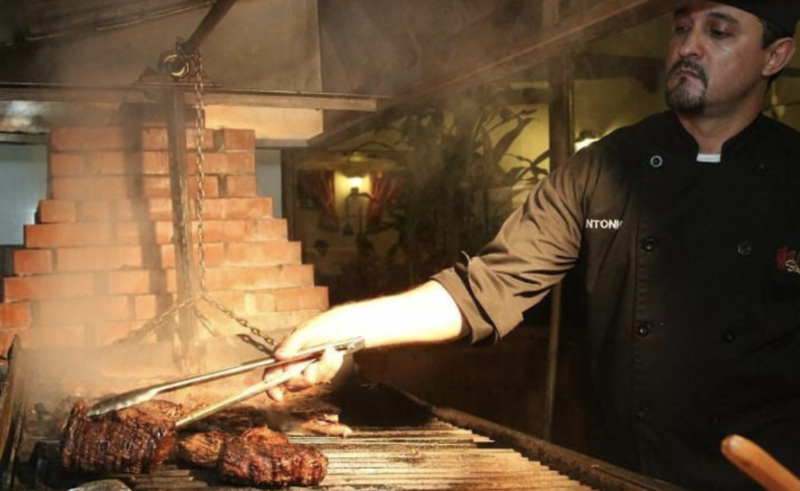 Maito was recently ranked one of Latin America’s 50 best restaurants. Need we say more? An evening spent at Maito leaves nothing to be desired. The creative menu celebrates Panamanian cuisine and there are plenty of fun cocktails to impress your guests. The laid-back decor makes it easy for guests to feel at ease. 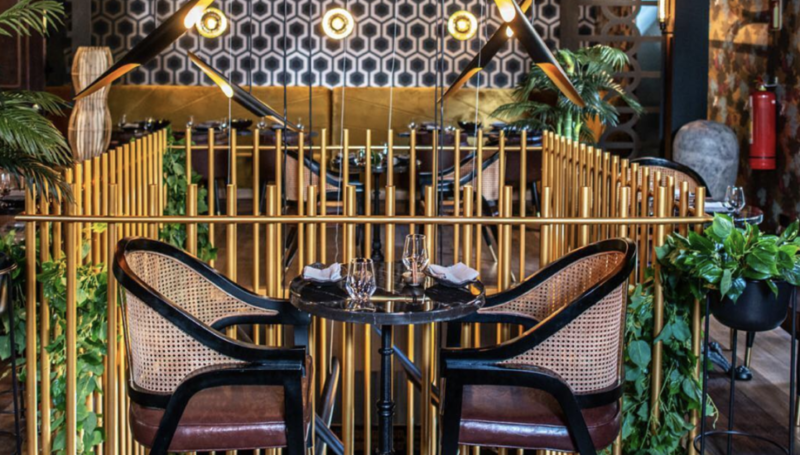 Donde José is Panama’s destination for experiential dining and the best place to go if you really need to wow your guests. Ask to sit at the counter to see the chef prepare each dish in this pre-fixe menu and chat about the culinary history of each plate. Or choose one of the handful of tables for a bit more privacy. Either way, you and your guests are sure to be impressed. This beautiful restaurant on the second floor of the Hilton has views of the bay and an open-air feel. It’s a great option for a delicious business dinner whether or not your guests are staying at the hotel. This is also a great choice for the health conscious with plenty of lighter options. With plenty of indoor and outdoor seating available, this spot is great for a more casual business dinner. While the outdoor tables are more pleasant, they’re best to avoid during mosquito season. Regardless of where you sit, you and your guests can dig into delectable Spanish tapas, paella, and sangria. This whimsically decorated restaurant has plenty of charm and great food to match. With large and small tables available, this is a fun option whether your party is for two or ten. 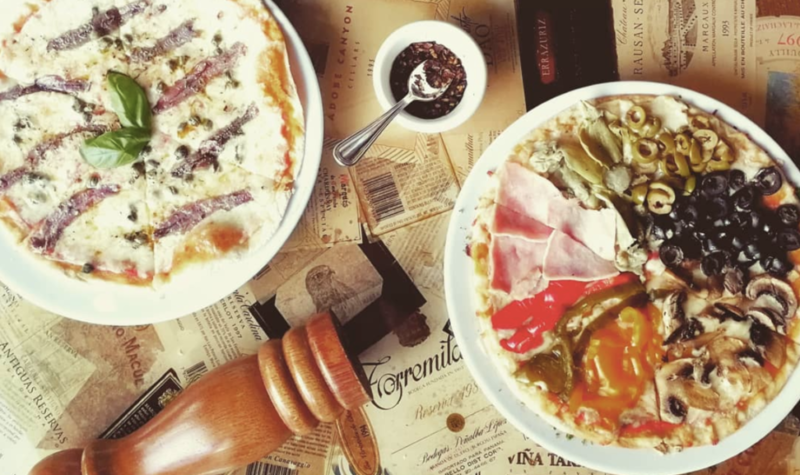 Pomodoro offers giant plates of Italian pasta in a laid back but fun environment. The restaurant is well known for their delicious sangria, and 2×1 promotions. But be warned, Pomodoro tends to get crowded (and loud) during promotions. If you’re after great Spanish food in a classic environment, this family-run restaurant is the perfect spot. The intimate dining room is small, so it’s worth making a reservation. 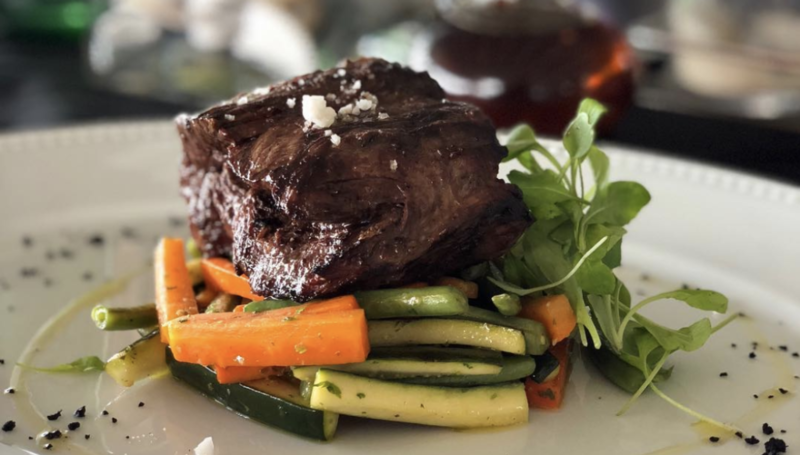 While it isn’t the most private place to dine, it’s well worth it for the delectable food and wine and friendly service. 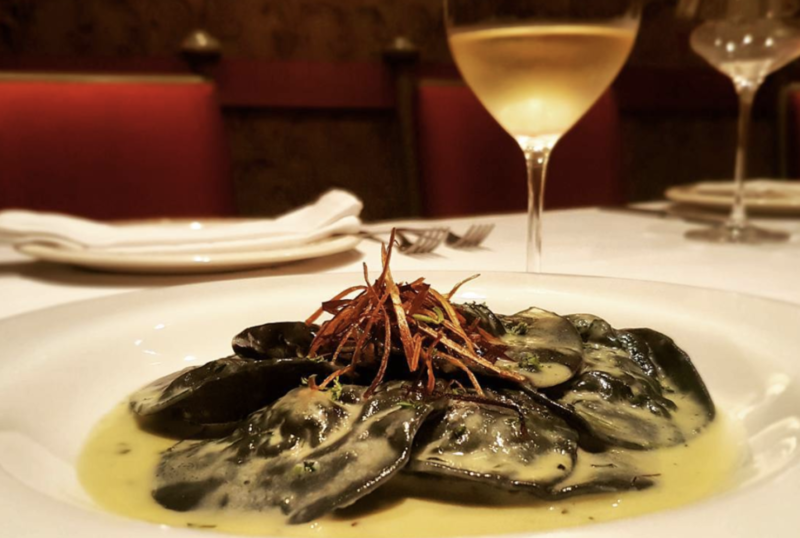 A dinner at Vinoteca will have you feeling like you’re in Italy. 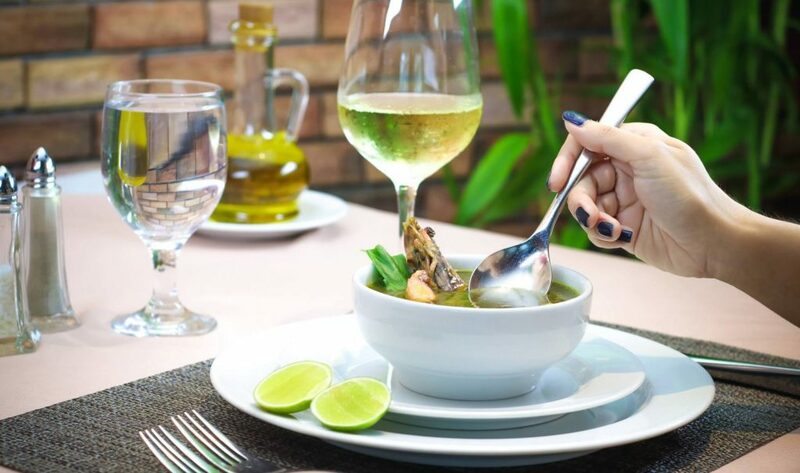 Delicious pasta dishes, flowing wine, and charming and well-informed waitstaff will all ensure that your meal goes smoothly and everyone is left full and happy. While we love Aria for lunch, dinner is when this restaurant really shines. The glamorous dining room and luxuriously decorated patio take on a whole new level of sophistication at night. Tables are adequately space to provide you and your guests with the privacy needed to talk business in peace. The eclectic menu is a crowd pleaser (and is entirely Kosher). If a dining experience is what you and your guests are after, Riesen is a great option. 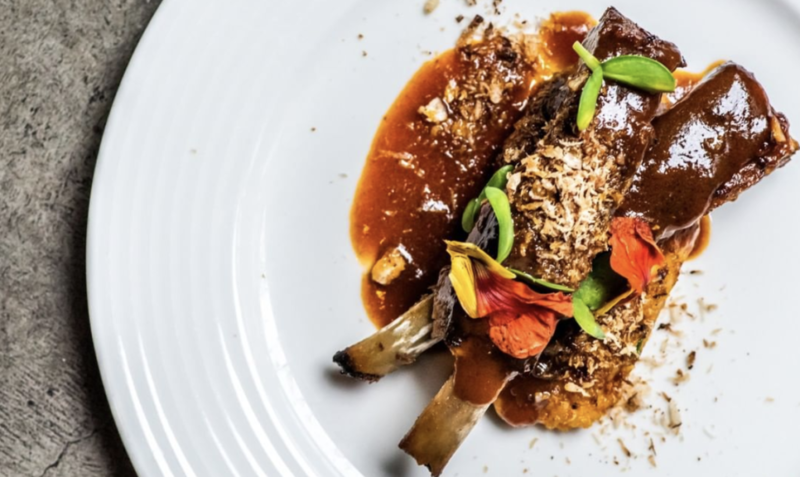 Riesen offers an innovative tasting menu that will surprise even the most sophisticated foodies. From appetizers to dessert, nothing disappoints. This is the spot for a seafood business dinner in Panama City. 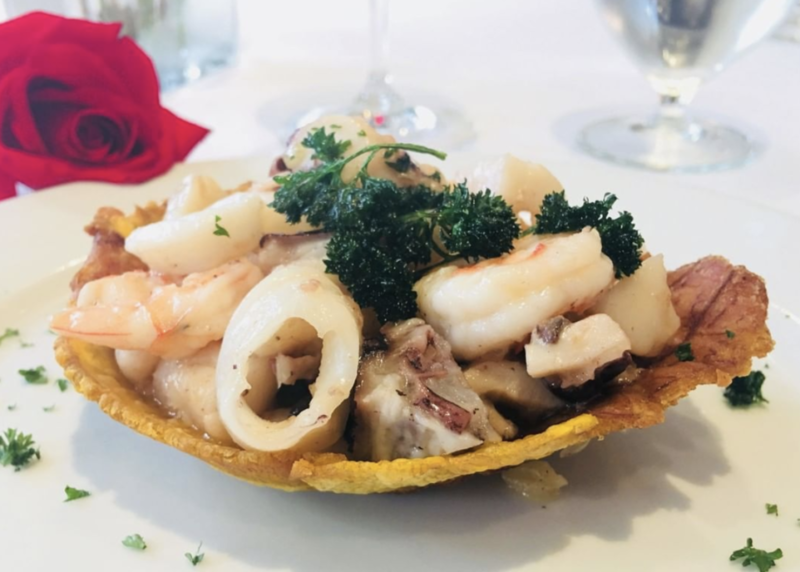 Make a reservation and be prepared to enjoy some of the freshest Peruvian seafood dishes around. There’s a separate dining room available for private events. This comfortable yet sophisticated Spanish influenced restaurant is a great spot for larger groups or an intimate business dinner for two. 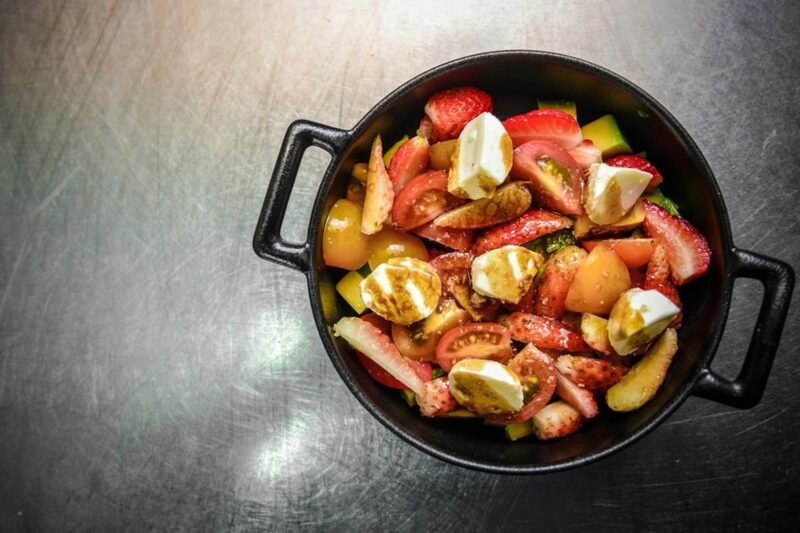 The wait staff is well trained and provide impeccable service, and the food features plenty of mouthwatering tapas and dishes to please every palate. Intimo takes their service seriously and their food even more so. As the name implies, this is an intimate restaurant and a great place to enjoy an evening with colleagues or clients. 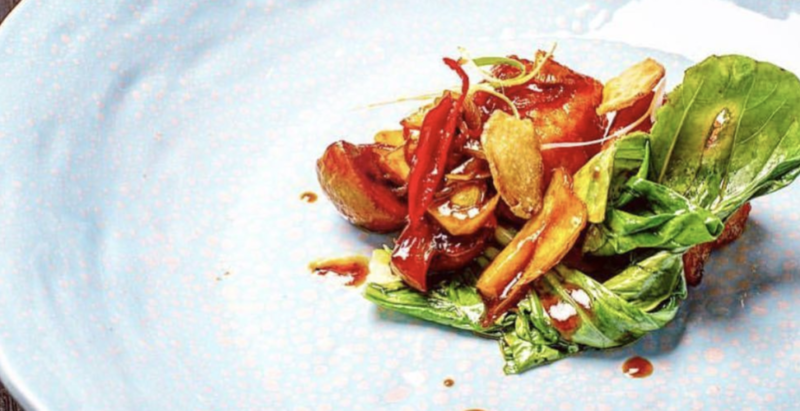 Consider trying the 12-course tasting menu to try a bit of everything. 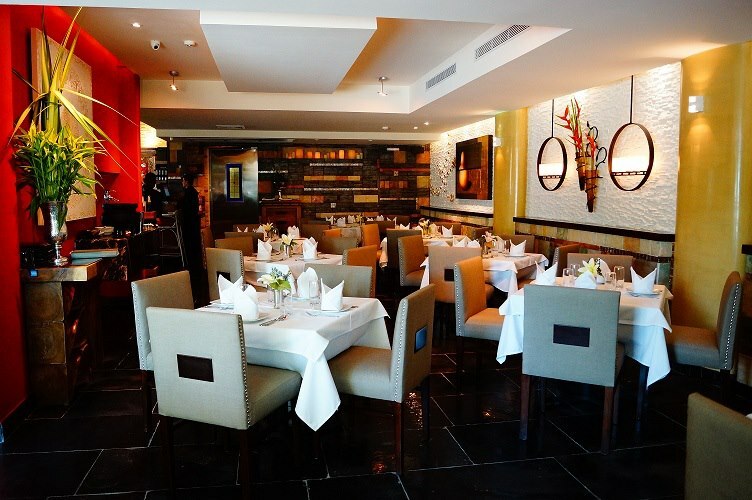 Mercao is a great spot for trying contemporary Panamanian cuisine. The sleek dining room is the perfect setting for a night of business talk, getting to know new clients or celebration. There’s also a small room you can book for private meals or events. Behind the yacht club on Balboa Ave, you’ll find one of the best spots for stone-baked pizza in Panama City. 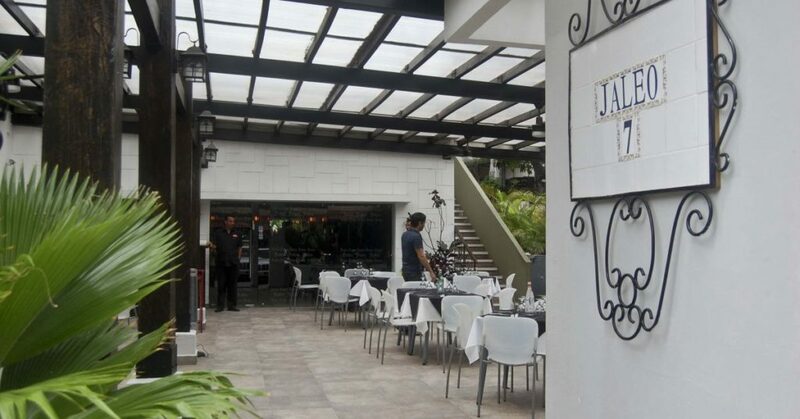 ZiMaria is a perfect destination for an unpretentious business dinner with great ambiance. 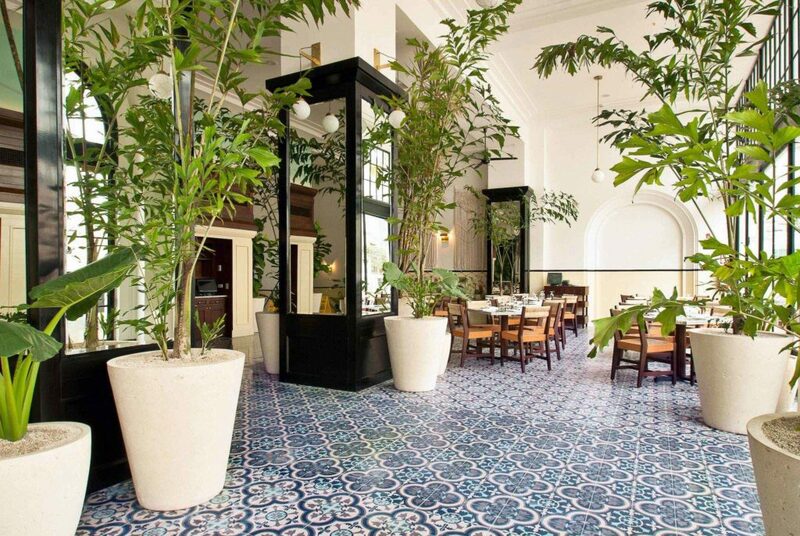 La Posta makes us feel like we’re dining at a seaside Italian villa. 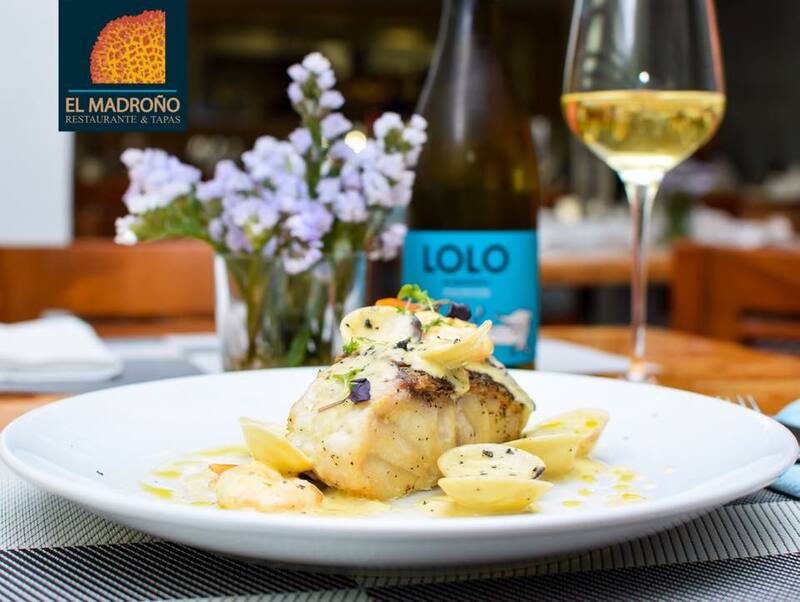 From the chilled prosecco to the delectable plates of pasta and amazing corvina, everything here impresses. The classic decor will please any taste and the waitstaff never disappoints. 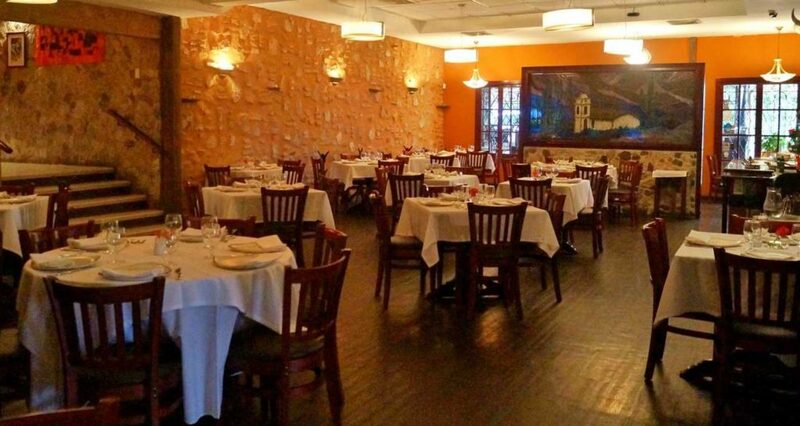 Whether your guests are locals or from out of town, La Posta is a crowd pleaser. 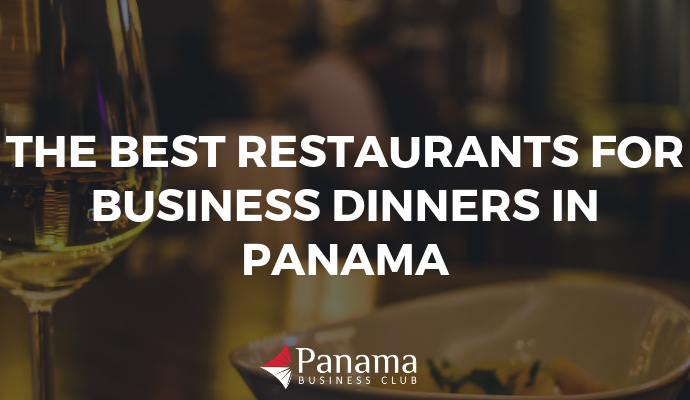 That concludes our Comprehensive List of Business Dinner Spots in Panama City. Are there any locations that you think we missed? If you are not already a member of the Club, take the first step by applying as an individual or a company.